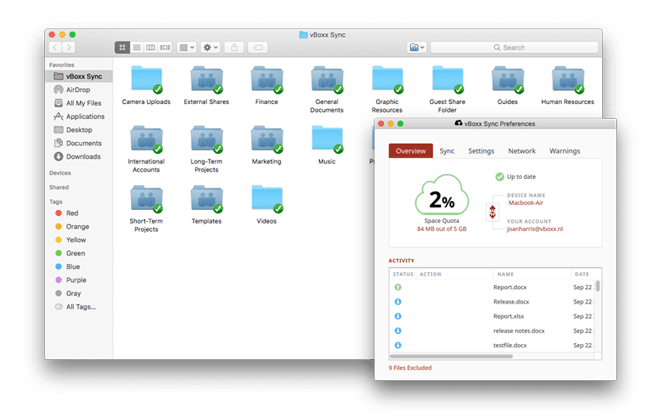 Sync, share and edit your files from anywhere. With vBoxxCloud, all your files are stored in the cloud, so that everyone on your team can work securely. Your data is stored in highly secured data centers in Europe (NL) so you can always access your files. Synchronize files with your colleagues or share them externally through free guest users. Our datacenter is ISO-27001 certified and we encrypt your files to protect them against viruses and hackers. Synchronize your data with your devices. Compatible with Windows, macOS, iOS, Android, WebDAV and Outlook. Because all versions are preserved you can always go back in time and you are protected against ransomware attacks. vBoxxCloud provides full support during and after the Trial. Phone, mail and chat support included. vBoxx has been recognized the best cloud provider of 2018 with its product vBoxxCloud! Controlled and certified by an external and independent organization. Schedule a 1-on-1 demo and learn how your organization can use vBoxxCloud. 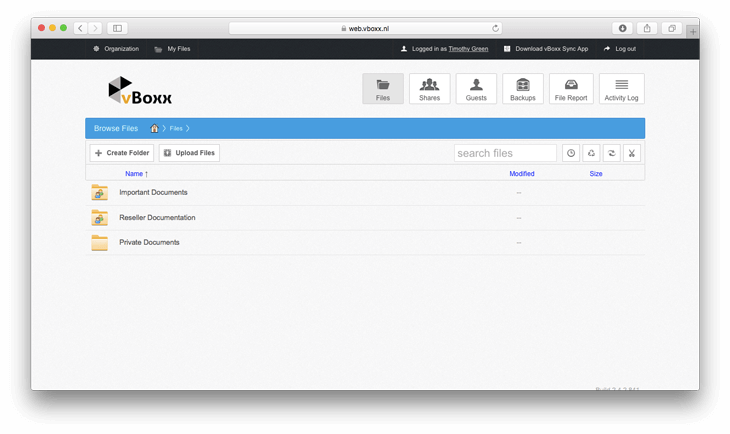 All of your vBoxxCloud files on your desktop with vBoxx Sync, access files from any device. Synchronize all files to your desktop with the vBoxx Sync Tool. Access your files from anywhere and on any device using the vBoxxCloud web browser. Use the vBoxx mobile app together with other applications to edit and save your documents. "I am using this cloud service for a short time now, but I am really liking it and looking at the upcoming GDPR, it’s a big step forward." "As an entrepeneur data are my main sources. So safe data management is crucial. The products and services of vBoxx are great." "vBoxx is easy to use. The customer service is also very friendly and helpful. The migration to vBoxx has been very pleasant." How do I order more users? You can order any number of users from the vBoxx order page. To upgrade your account go to the vBoxx client portal. The more users you have, bigger the discount. You can choose as many storage packs as you would like. Assign storage to one user through vBoxxCloud policies or share it with all the users. We support educational and non-profit organizations with special discounts. Contact us to learn about our special prices. Why do I need free migration? Migrating data from one cloud solution to another can be stressful and time consuming. Our free migration service makes sure our new clients experience a smooth transition to vBoxxCloud. 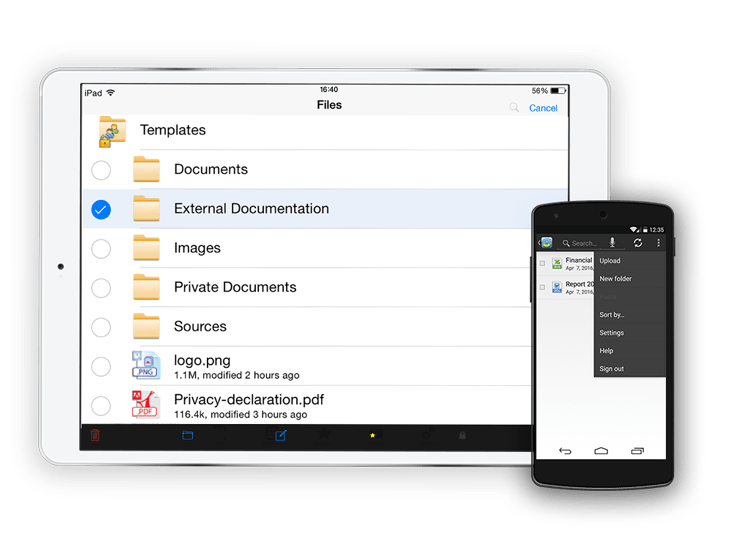 Control how and from which device users access folders. Create password-protected links to share with external users. Keep track of any file and folder changes with the activity log. Edit Word, Excel and Powerpoint files with the web editor. Have you ever seen a message “this video is not available for your country” on YouTube or Netflix? Or do you simply want more privacy on the internet? A VPN or proxy offers an easy solution for this.